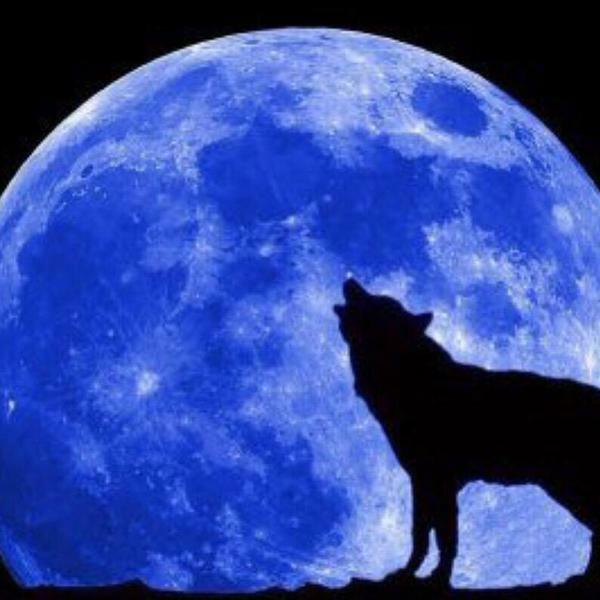 Tonight is the night of the Blue Moon – one of those times when there are two full moons in the month! And of course that means I choose that AMAZING song written in 1934 by Rodgers and Hart. This is my favourite version because it is slow and soulful! It’s such a moving lyric. A hairy head and a Birmingham accent isn’t an obvious recipe for success in life, but it doesn’t matter when you’re a musical genius who can write songs like Jeff Lynne. As popular as his works have been, I’ve long thought the Brummie Brian Wilson doesn’t get his due. As a popular songwriter and composer, I reckon he compares with anyone. As always, feel free to share the sounds you like. ATW regular Harri is on a road trip across Europe soon. You need sounds for that, because the Lord knows that Euroradio is hopeless. I’d be happy to lend him my new-fangled iPod thingy. It’s been on a few road trips and is stuffed solid with every essential noise. I do wonder though, with a wife and ten daughters in the caravan, would he get a chance to play it? Why not suggest some sounds for the road? As you may recall, in the past week we have had senior Police figures informing us that burglaries “may” no longer become a priority for the boys in blue but hey, that’s because they have MORE PRESSING MATTERS to deal with – like this. 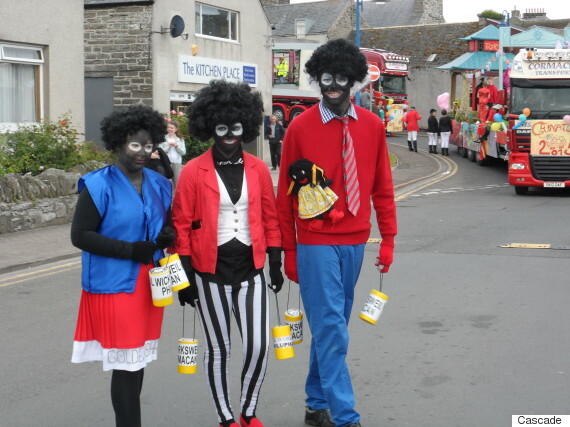 Police were called after three youths attended a summer gala in Scotland dressed as golliwogs. 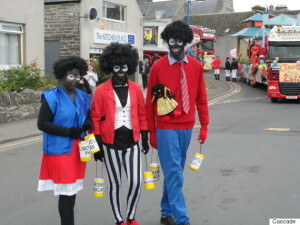 The trio attended Saturday’s Wick Gala in Caithness, wearing brightly-coloured costumes, curly wigs and black-face. Golliwogs – dolls resembling black-faced minstrels – were characters in children’s books published in the 19th century and became a popular children’s toy in Britain during the early part of the 20th century. Both the doll and the term are now widely considered racist. A spokesman for Police Scotland told Huffington Post UK: “On Monday 27th July 2015, Police in Wick received a call from a member of the public seeking to raise awareness of what they deemed as possible inappropriate behaviour at a public event known as the Wick Gala, which took place on Saturday 25th July in the town centre. Exactly WHAT advice was offered and how is this the business of the Police at a time when they keep telling us they are stretched to the limit? 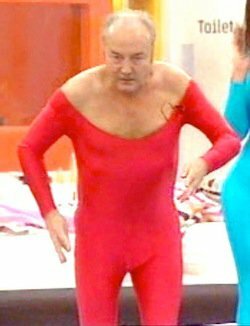 Leftwing firebrand George Galloway has vowed to rejoin the Labour party ‘pretty damn quick’ if Jeremy Corbyn becomes leader. The controversial former MP was kicked out of the Labour party in 2003 for outspoken criticism of Tony Blair’s Iraq War. But he claimed that if Mr Corbyn wins the race to lead the party, its membership would swell to a million people. The BBC can be so biased here in N. Ireland. Just consider this headline.. This is up 71% up on the 274 total in 2012/13. It’s ALSO worth reflecting on the salient point that it’s not some third world dictatorship they are feeling – it a liberal French democracy. Just have a little think. Tony Blair WON three successive general elections and in those terms he is the most successful leader Labour has ever had. So, what to call Blairism? How about – a VIRUS? I agree. Making Labour pure enough for the hard-left ensures it will never get back into Government and indeed may even split should Comrade Corbyn gain the helm of this ship of fools. So if Corbyn wins the UK will be free of the virus of a Labour Government in perpetuity. The lion, and the hypocrisy. Oh, the sheer terror of it all! The black headlines flood onto the pages and the screens, all stating one thing only; ‘How cruel, how terrible, how unfeeling; and on, and on, ad infinitum’. A cross-section of those headlines read: ‘Global anger reaches Minnesota’, ‘Justice for Cecil’, and ‘The hunter is hunted’; as well as ‘Dentist who killed Cecil regrets his actions!’ The target of all this wrath? Some monstrously-inhuman serial killer who is targeting people named Cecil? No folks, all this ink and false indignation revolves around an American who fired a cross-bow bolt and wounded this particular lion in Zimbabwe, before tracking the animal and finally despatching it with a bullet. The terrible story evolves when it was revealed that the lion had allegedly been lured away from the protection of a game park, and then ambushed by this bloodthirsty dentist, who had paid $50,000 for the privilege of shooting this lion. Further news shook the world’s population when it was revealed that the lion actually wore a tracker collar, which had been fitted as part of some spurious scientific survey or other. Real live ‘celebrities’ were quoted as expressing their horror at the mindless slaughter of a proud animal, just to feed the trophy wall of a rich tourist. Worse was to follow, as can be seen from perusing this particular section of what is loosely termed ‘Social Media’. As Joseph Conrad might have put it “he cried out twice, a cry that was no more than a breath: The horror! The horror!”. The Zimbabwean game hunter and his tracker have been arrested on charges of poaching, and Vegetarians Worldwide are seeking to have the dentist arraigned on charges of assisting King Herod and the slaughter of the Innocents. (well, yes; I exaggerate, but only by a small amount). Has anyone stepped back, metaphorically speaking, and gazed at this ludicrous non-story, and checked out the enormous hypocrisy behind this explosion of fake anger and total lunacy. What has actually happened? We, as Homo Sapiens, are literally at the head of the global food chain, and we kill literally millions of animals, birds and fish every single day so that we might eat, and prosper, and survive. We are a predator species, and whilst accepting that an American dentist was not hunting for food, we must accept that he was following in the footsteps of our ancestors going back to the dim mists of time. We hunt, we kill; even at second-, third- or even fourth-hand, because when we visit a supermarket, or a corner store to buy readily available protein in the shape of chicken, or beef, or pork; we automatically must accept that some animal or other species has been killed to provide that protein, so that we might survive. Vegetarians may state that they live perfectly well without the sacrifice of a living thing, and they have as much right to that belief as anyone else; but it is not a majority viewpoint. Hunters kill and claim their trophies every day, all over Africa, excepting of course where the locals are too busy killing each other; South Africa operates legal trophy hunting as do many other countries, so what is the problem? Why the fury, the snot and the anger? We accept, in silence, the bloody ritual slaughter within British slaughterhouses which is dictated by the Muslim Halal and the Jewish Kosher rituals, so why the vicious headlines about the death of one old lion? The real hypocrisy, in my own viewpoint, is in the silence on where this non-story emanates from, namely Zimbabwe. Where are the headlines about everyday life in this poverty-stricken nation, which once owned the proud title of the bread-basket of Southern Africa? Where are the headlines about the farms stolen from the owners who are just as much African as the thieves who have legally, and illegally, stolen 90% of the farms in this once-productive country? Where are the stories in the major newspapers the world over about the total theft and hijacking of the richest diamond deposits discovered in the last ten years? Where are the postings on ‘Social Media’ about the everyday misery of those unfortunates not to be either in Government jobs, on the payroll of unscrupulous and murderous politicians, or on the trucks and cars which ferry the bully-boy gangs from Zanu-Patriotic Front who masquerade as the new ‘War Veterans’ when they arrive and terrorise any meeting of which their masters do not approve! I link, without further comment; to a blogsite which I read regularly, which gives an insight into the everyday struggles to survive, in a country which I visited twice; and in doing so drove through that same Hwange Game Park which was the lion’s hunting ground: that country which once was so prosperous it exported millions of tonnes of food. Let’s get a few things straight, shall we? The Stormont Assembly is a BRITISH institution. It is located INSIDE the United Kingdom. 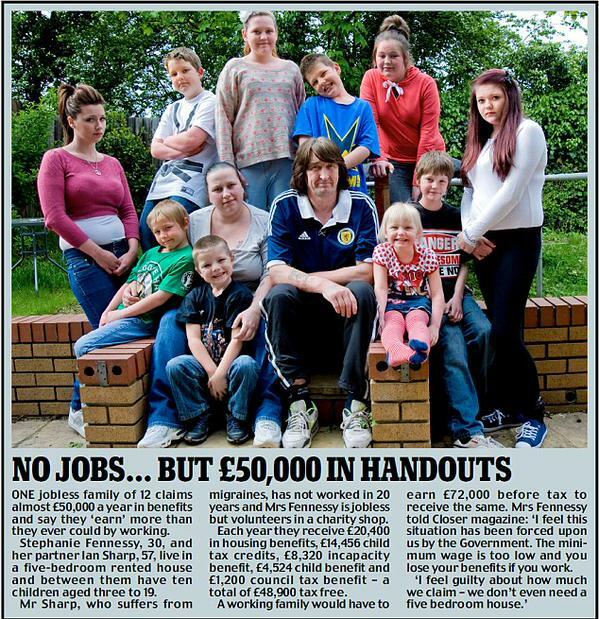 It is funded by the British taxpayer. 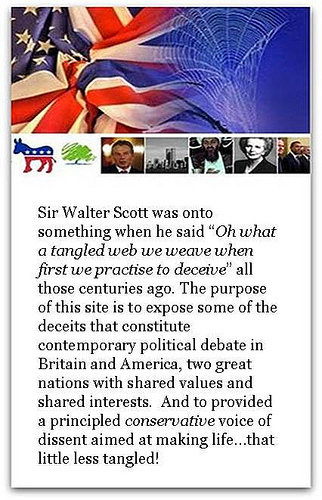 It operates to UK Law. Nothing can be more clear – so why this then? A consultants’ report suggests a new flag could be flown at Parliament Buildings on days the Assembly is sitting. But it also made clear the political parties would have to agree on any replacement flag or “some other visual display”. Nationalists having to deal with constitutional reality is “a chill factor”? How curious. The report for the Assembly Commission, which runs Parliament Buildings, said the potential for the flying of a neutral, civic flag had attracted some support, “especially among staff” working in the Assembly. It said the Commission “might consider flying a neutral, civic flag (the nature of which would need to be agreed among the political parties) to mark days when the Assembly is sitting”. Interesting that ‘STAFF” seem to share the Nationalist “chill factor” view. The entrance to the Channel Tunnel increasingly resembles a war zone with HUNDREDS if not THOUSANDS of African illegal immigrants. That being the case isn’t it time we sent in the Army? Hundreds of migrants laid siege to the Channel Tunnel for the third night running last night, as they stormed fences and desperately tried to clamber on trains bound for Kent admitting: ‘It’s England or death’. Senior MPs, backed by hauliers, said the British Army should be sent in to restore order because the French authorities had ‘lost control’ as the Calais illegal immigrant crisis escalated dramatically’. Migrants are still easily breaching the 15 mile fence surrounding the Channel Tunnel and jumping on to moving trains or trying to get in or under lorries queuing to get on trains. Last night a gang of around 400 migrants stormed the perimeter last night – taking the total to almost 4,000 who got on to the tracks since Monday night – and at least 150 have made it to Britain.